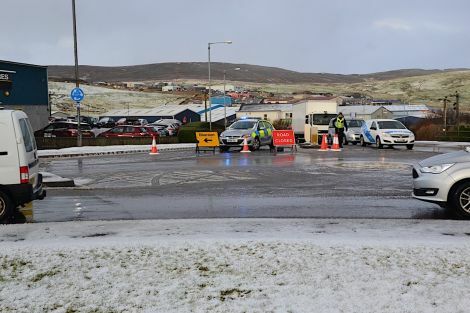 POLICE in Shetland are looking for witnesses to come forward after a 59-year old man was injured in a road traffic accident between a car and a pedestrian near the Gremista junction at the north end of Lerwick. Emergency services were called to the scene of the accident on the A970 Gremista Road at about half past eleven on Tuesday morning. The road between the roundabout at the bottom of Staney Hill and Leask Garage has now re-opened and traffic is managed by temporary traffic lights while police are carrying our their investigation. Traffic in and out of town is being diverted along the Old North Road and on to Staney Hill.